Regal Deck Railing is back! 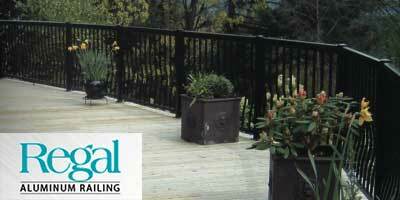 Regal Aluminum Deck Railing is one of the easiest rails to install. Install the posts, attach the rails, and then snap in the balusters or glass. Done! Regal Aluminum Railing is the only code approved system for all jurisdictions in North America.